For the past two weeks, I have been immersed in what I am convinced is the definitive biography of the Vatican II, The Second Vatican Council: An Unwritten Story, by Italian author Roberto de Mattei. 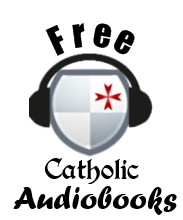 Dr. Mattei is no meager polemicist, and though his book supports many of the ideas proposed by Catholic traditionalists, his book is by no means a traddy diatribe. Mattei's curriculum vitae is impressive; he is Professor of Modern History at the Faculty of Arts of the University of Cassino and is currently Professor of Modern History and History of Christianity at the European University in Rome. This scholarly background shows through in his work, which is probably the most academic and dispassionate treatment of the Second Vatican Council ever written. Even so, The Second Vatican Council: An Unwritten Story is a total vindication of the traditionalist critique of the Council and its relation to the current state of the Church. 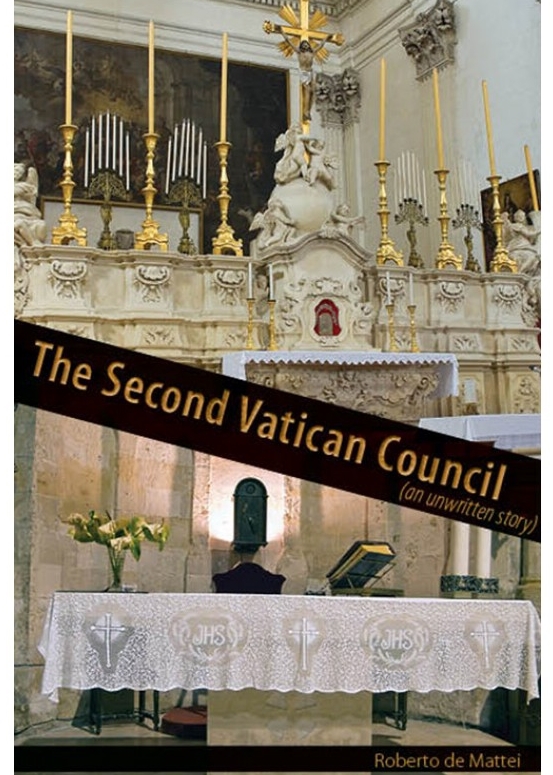 Using only documentary evidence - including records of Council proceedings, texts of interventions by the Council Fathers, personal correspondences of John XXIII and Paul VI, and personal diaries of the periti - Dr. Mattei reconstructs the tumultuous days leading up the Council and thoroughly documents the thoughts and aspirations of the Council Fathers as the event that was Vatican II exploded on the world stage. This is where Mattei's book has its greatest value: in revealing the intentions, thoughts and opinions of the participants in the Council. Reading the words of the actual Fathers on this subject demolishes a lot of canards about the Council. For example, it is often asserted that the ambiguity of the Council documents is an accusation made by Traditionalists who seek to blame the Council itself for the Church's problems; however, the comments of the Council Fathers themselves reveal that even while the Council was in session, ambiguity and vagueness were serious concerns for many of the participants in the Council (see here). Another example: it is commonly asserted that the Council itself was carried out in perfect continuity with previous ecumenical councils and the problems came only with a hijacking of its implementation. However, Mattei's book reveals that the participants in the Council viewed it even then as something revolutionary, from the first meetings of the first session when the Fathers revolted to throw out the documents prepared by the Theological Commission, to their replacement of the heads of all the commissions with liberals, to their setting up of a permanent body of four Cardinals that effectively served as a meta-commission to organize all the other commissions and push them towards liberal ends. We learn that it was not a liberal who first proposed interpreting the Council in light of its "spirit", but Paul VI himself who first referred to the "spirit of Vatican II" in his opening address of the Fourth Session in September of 1965; it was not dissenting bishops who did away with Latin, but Paul VI who first celebrated Masses in the Italian vernacular in 1965 and urged his bishops to imitate him. It was a dominant clique of the Council Fathers themselves who asked for vernacular, versus populum Masses, cultural Masses, and many other deviations. Yes, this book demolishes the argument that the problems did not come until implementation; the problems were present at the outset. Also of note is the manner in which several theologians come off as not just questionable but as total heretics. Sure, we already knew about Kung and Rahner, but even some of the more "respectable" theologians are outed for the heretics they were. For example, Yves Congar, whom Scott Hahn has praised many times and often cites as a source, comes off as a radical heretic in his desire to undermine papal primacy and redefine the nature of the Church, even invoking Martin Luther at the tomb of St. Paul, "who had wanted to reaffirm the Gospel for which Paul had struggled" (pg.487). I was appalled at some of the statements from Congar's diary quoted in the book. Jean Danielou and Henri de Lubac also are revealed as hypocrites, dissenters and heretics - and this not by any insinuations of slander by the author, but by the words of these theologians themselves. Mattei as an author does not need to make any argument; he allows these periti to hang themselves by simply citing their own words. We also see that the controversial issues today were not necessarily the controversial issues then. While post-Conciliar critiques have focused on the liturgy, there was really not that much debate at the Council about liturgical matters. 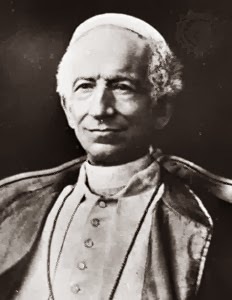 The most controversial subject was undoubtedly the Council's teaching on "collegiality", which many conservative bishops believed was in flat contradiction of Vatican I and was plainly invented in 1962. More debate was held on this question than any other, with the concept of religious liberty as expounded in Dignitatis Humanae coming in second (a tidbit I found awesome was that Karol Wojtyla found grave problems with the religious liberty schema and thought the concept of truth found therein was too disassociated with Christ, who is truth). Communism also looms large in the debates, with the vast majority of the Council Fathers asking for a condemnation of communism and Paul VI categorically refusing it. One of the fundamental themes of Mattei's work is the teachings of the Second Vatican Council as theology versus the Second Vatican Council interpreted as an event. 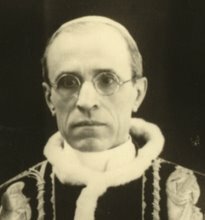 Mattei argues that the failure of the conservative/traditional bishops to halt the liberal onslaught was due to the fundamental inability of the conservative bishops to understand that Vatican II as an historical event, a defining occurrence in the history of the Church that was widely viewed as the beginning of a new epoch. The conservative Council Fathers, naturally interpreting Vatican II in continuity with previous Councils, focused excessively on the strict theological meaning of the wording of various documents, ultimately making noble and profound objections to the ambiguities of the texts, but never fully grasping the nature of the revolution that the Council unleashed. They did not understand the manner in which the liberals wanted to use the Council, at least not until it was too late. And why would they? 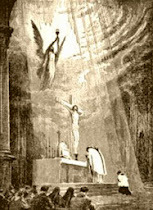 No Council in the Church's history had ever been used in such a way - what Benedict XVI referred to as a "meta-council." Paradoxically, the conservative bishop's view of the Council in continuity with tradition rendered them incapable of perceiving the vastness of the looming threat. 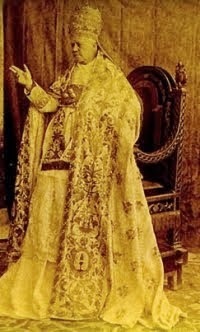 What we have is ultimately the fact that, while Vatican II may not be a total doctrinal rupture, it certainly was a historical rupture, and many of the liberal Council Fathers were content to maintain the semblance of doctrinal continuity if they could have historical discontinuity; discontinuity of fact was always the end game, even if we do not have a total discontinuity of teaching. 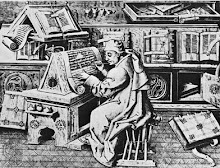 Discontinuity de facto has been the golden apple, the liberal wet-dream, the "promised land of the Council", as Congar referred to Gaudium et Spes; conservatives can reconcile the documents and claim continuity of teaching till the cows come home - continuity de jure is an on paper reality, while the monstrous discontinuity de facto continues unabated. Thus, the modern movement towards continuity cannot be content with merely proving it on paper or getting it authenticated in some document; there is no purely legal solution to the problem. The horses are out, and shutting the proverbial barn door now will do little good. 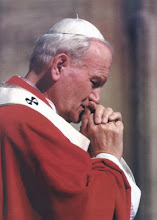 To restore the Church, we must not only restore continuity on paper, but restore it in fact, in practice, in our lives. We must understand the Council as an historical event as well, and seek to reconcile not only documents, but lives and praxis. This is why the book is both enlightening and depressing; it will make you mad as hell to see how things really went down, how Cardinal Ottaviani was blacklisted by the liberal elite, how the four Cardinals who dominated the Council (Frings, Konig, Dopfner and Suenens, the arch-villain) intentionally tried to dismantle the whole Catholic edifice, how the Council Fathers got us to exchange our heroes for ghosts and hot ashes for trees, in the words of Roger Waters. But it is enlightening as well, because it helps to bring into focus, glaringly, where the exact problems lie, and in doing so make the path to restoration seem more clear. We all know there is a liberal narrative of the Council, what Benedict called the "Council of the Media"; but there is also a conservative narrative, one which tries to absolve the Council itself of all possible wrongdoing and place the blame squarely on post-Conciliar innovations. That narrative is no longer plausible after reading this book. I highly recommend it for any student of the Council, and I want to emphasize again that this book is not a polemic, not some Traditionalist attack - everything I said above is deduced simply from the speeches and writings of the Council Fathers, which this book reproduces en masse and hence becomes an indispensable resource for this important period in ecclesiastical history. It is not inexpensive, but it is certainly worth the money. When I finished the book, I was sorry it was over. It was that good. I also want to thank the blogger "I am not Spartacus" who brought the book to my attention and graciously sent a hard copy of it in the mail to me for my perusal. Blessings, my friend. The leadership in Jerusalem were upset by the Prophet's words and, with the blessings of King Zedekiah, cast him into a cistern. But what was it about the words of Jeremiah that were so upsetting to the officials of Jerusalem? There are several reasons why the message of the Prophet upset them. First, the princes and political leadership of Judea had invested themselves into a certain political vision, in which the safety and prosperity of Jerusalem would be safeguarded not by reliance of God alone, but by political alliances with other kingdoms. The leadership of Judah had rejected their special station as a people called of God in exchange for a lesser calling, that of a people wanting to be "like the nations", and of trusting in the nations to deliver them; one could say they wanted to "open up" to the world, and therein sought their salvation. The prophecies of Jeremiah condemned this policy, a policy the elites had spent a whole generation building up. Thus the condemnations fell upon them as a personal reproach. The manner in which the leadership had poured themselves into this failed vision blinded them to the truth which Jeremiah preached. Second, the leaders thought Jeremiah's critique destructive of the morals of the people; one might say the judgments of the Prophet were counter-productive, or even giving aid to enemy, since they "weakened the hands of the men of war." Judah was at war with Babylon. Why then does the Prophet spend his words railing against the sins of Judah and its leaders? Is not Babylon the enemy? Is not Nebuchadnezzar the real threat? In saying that Jeremiah seeks the evil of Jerusalem, they in effect accuse him of being divisive, of sowing discord within the city. Can not we put aside this in-fighting and focus on the real enemy? When we point fingers at one another, we actually aid those enemies who want to destroy us! By constantly focusing on our own difficulties, we risk being too condemnatory and destroying our morale. We can imagine the princes of Judah saying such things. Even so, they were in error, for their fundamental mistake was viewing the critiques mentioned by Jeremiah and the military threat posed by Nebuchadnezzar as two distinct, unrelated issues. The immorality and infidelity of the Judean leadership was an 'internal' problem, the Babylonian threat an 'external' one; but Jeremiah had the wisdom from God to see that the external threat only existed because of the internal problem; the fidelity of God's people is always related to the external judgments that may or may not fall upon them. Jeremiah knew the principle that St. Peter would later preach: "It is time for judgment to begin at the household of God" (1 Pet. 4:17). Jeremiah understood that whatever political expediencies Zedekiah resorted to, whatever sorts of dialogue with foreign princes he tried to engage in, whatever remedies were sought, they would all ultimately fail so long as the true problem - infidelity to God - remained unresolved. Jeremiah was not being a traitor by preaching against the sins of his leaders even as the city was being surrounded; on the contrary, he was making known to them their one path of salvation. Finally, we could note that, even if some of the leaders were disposed to agree with the substances of Jeremiah's criticisms, they found it much harder to turn the ship around and change course at that late hour than to make the necessary reforms to avert God's wrath. The further one goes down a road, the further one commits to a certain vision or policy, the more difficult it is to turn back, and the more profound must be the penitence to effect that change in direction. Thus, Judah reached a place where reform had become not only inconvenient, but very difficult if not impossible from a pragmatic standpoint. Therefore Jeremiah's criticisms and prophecies of doom were that much more odious because the leadership knew it was too late. There was no way out but the trial of fire. And of course the trial came. Jeremiah was vindicated, and the Word of the Lord established. Jerusalem was taken, the city and temple burned, and princes of Judah taken captive or slain, and King Zedekiah, who had allowed Jeremiah to be cast into the cistern, had his eyes gouged out, a fitting symbol of the spiritual blindness that had brought such a judgment. The people of Judah were taken into captivity. But for God's people, the last word can never be one of despair. For those who trust in the Lord, even life's worst misfortunes are always characterized by a lively hope. Despite preaching the doom of the city and the impending slavery of his people, Jeremiah did an unlikely thing. 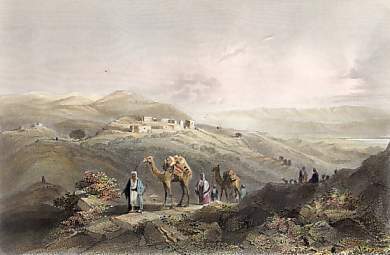 Shortly before the fall of Jerusalem, Jeremiah went out and purchased a field in Anathoth (Jer. 32). What was the reason for this unlikely gesture? If you had infallible knowledge from God that your whole nation was about to be destroyed and taken into captivity, what is the point of making a real estate investment? But Jeremiah realized that the purchase of the field was a sign from God ("then I knew that this was the word of the Lord", v.8). He purchased the field in Anathoth because he knew that despite God's judgments, the Israelites were still God's people, and He would ultimately bring them out of captivity. In the words of the Prophet Hosea, "He has torn, that He may heal us; He has stricken, and He will bind us up" (Hos. 6:1). God's judgment is remedial, medicinal - ultimately, for the purification of Judah. Jeremiah knew that the Jews would return from captivity someday, that the judgments would only be temporary. Hence he demonstrated his faith in the promise of God to bring the Jews back to their land by purchasing a field. He was in effect saying, "I know that we will be back someday, for God hath sworn it", and he demonstrated it by making a land investment. And what application does this have to us in our own day? There are many things we could ruminate on relating to the attitude of the leaders of Judah and many of our own leaders today, between the blatant blindness of the king and his ministers to the problems of the kingdom and their direct correlation to the crisis engulfing Judah, and similar circumstances in our own age. These parallels should be self-evident. But rather than dwell on these, let us reflect on this: despite the fact that God judges His people, do we have faith enough in His guidance of the Church to purchase our own field in Anathoth? Is our confidence in His goodness that lively? To buy a field in Anathoth may mean different things to different people, but the point is that our faith must be firm enough that it translates to concrete acts of faith and hope, even if our circumstances seem so bad that we feel like we are in the bottom of a cistern, "sunk into the mire." Even so, we must have confidence that God will restore; "He has torn, that He may heal us; He has stricken, and He will bind us up. After two days He will revive us; on the third day He will raise us up, that we may live before Him" (Hos. 6:1-2). Therefore, let us also buy in Anathoth. Christ is still on the throne. It is in Anathoth that I will plant my seed, even if I do not live to eat the fruit thereof. 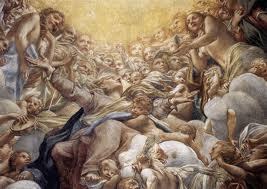 Good day and Blessed Feast of the Assumption of Our Lady! 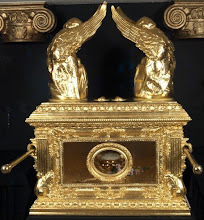 Please enjoy these recent articles from the Unam Sanctam Catholicam website! Please help this website by reading and sharing these articles with your friends. I also want to take this opportunity to thank many, of you who have supported this site and linked up my articles, specifically: Noah at Alleluia Audio Books, Tantamergo at Veneremur Cernui (Blog for Dallas Area Catholics), Throwback at Popin' Ain't Easy (who writes most of the film reviews for USC), the Facebook group Catholic Faith In the Light of Tradition, who always faithfully share all of my articles, and last but not least, Rorate Caeli, who, though they don't link my articles directly, have sent me more traffic through linking me on the sidebar than any other site. God bless you all. Novena to St. Bernard: Great way to prepare for this great saint's feast on August 20th. What is archaeologism? Why Pius XII thought the modern fad of "returning to the sources" was such a dangerous train of thought. On the Subjective and Objective Ends of Work: What is it about the West's approach to labor and value that leads to such excessive materialism? John Paul II explains it as an inversion of values relating to the philosophical understanding of human work. 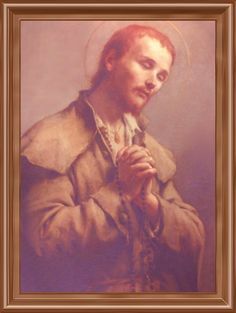 Should we adopt the orans posture during the Our Father? 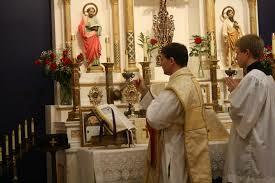 : Another quod libet that pops up in the Novus Ordo; why this gesture is a liturgical aberration. Christianity and Mithraism: Examining the common accusation that Christianity borrowed from Mithraism; in fact, it was most likely the other way around. Explaining Indulgences (video): A 13 minute video explaining the history and doctrine of indulgences. Great for explaining the teaching to Protestants or ignorant Catholics. Part of this blog's mission is to promote the creative endeavors of other Catholics outside the mainstream, of whatever medium. To that end, I present to you Letter to a Priest, a marvelously done short film by Clayton Long, a longtime friend and patron of this blog. This short, touching story about a woman's struggle to come to terms with Catholicism on the issue of marriage garnered a lot of attention and even premiered at World Youth Day on July 25th. Letter to a Priest is a twelve minute film that tells the story of a young woman struggling to come to terms with the Church, particularly its teaching on a very sticky point: the validity (or invalidity) of marriage. The protagonist begins in a spirit of outright hostility to the Church's teaching but through a chance encounter with a priest, comes to a humble recognition of the spiritual riches hidden within the bosom of Mater Ecclesia. One strong point about this film is that the protagonist does not come to accept the Church in an intellectual, dogmatic fashion; rather, her conversion is presented in mystical terms, in context of an undeniable encounter with a supernatural reality - not in any miraculous sense, but in the simple weekly Benediction of a parish Church. This highlights the ordinary working of grace, which is often lost in modern apologetical approaches to the Faith that can place an undue emphasis on the work of the intellect at the expense of grace or mystical elements.